Despite claims by scientists Malcolm Turnbull and Joe Hockey that ‘Wireless’ is the future of communications, Telstra have been busy installing lots of optical fibre in new Australian estates the last couple of years. Up until now, not too many service providers have been able to secure good deals with Telstra Wholesale to provide services along these cables, leaving customers stuck with BigPond as a sole provider, usually at high rates. 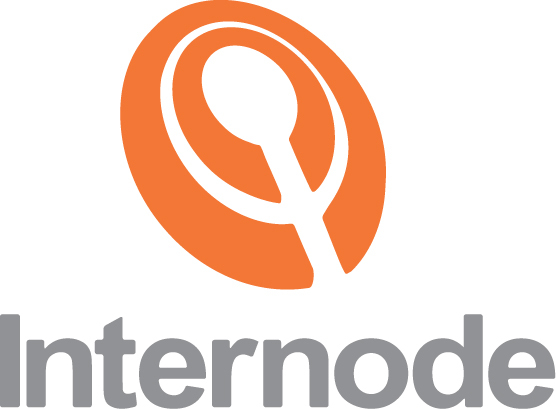 Internode announced today a range of plans to offer real competition in these areas, after securing a wholesale deal. This will complement their wider range of fibre broadband offerings, including different plans for National Broadband Network (NBN), South Brisbane and Opticomm/OPENetwork estates. As with services sold along Telstra’s Copper Access Network (CAN), the broadband connection requires that the customer is paying Telstra for a landline service as well, regardless of their need for it. 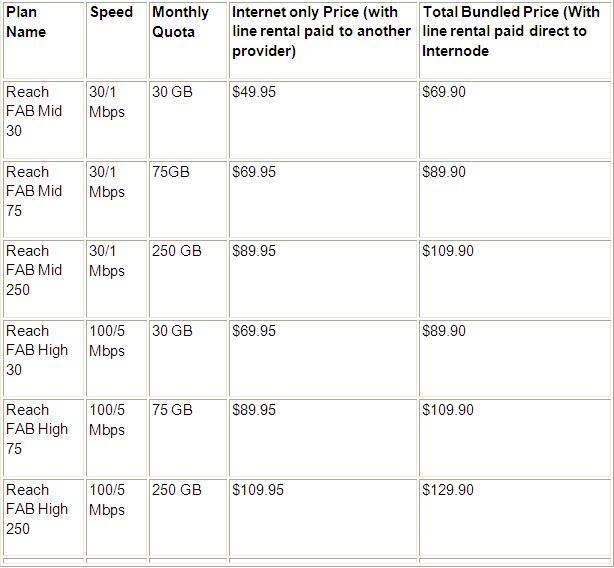 As per the table below, Internode will be offering a bundling discount to customer if they choose to pay their line rental through Internode. The ‘Bundled Price’ represents the total price the customer will pay per month, with no other hidden charges. Internode Product Manager, Jim Kellett, said the new Reach Fibre Access Broadband (FAB) plans are great value and stack up well against those available under the previous arrangement. “Previously residents could only buy their Fibre to the Home (FTTH) service through Telstra. Now they have more choice when it comes to choosing their broadband provider,” he said. These plans will be available in over 125 Greenfield Estates around the country, as well as Point Cook in Victoria, the largest ‘Brownfield’ (already developed) area to take part in a Telstra trial to replace copper with fibre. Besides offering stable fixed-line broadband services where no copper-based (ADSL2+) are available, these plans otherwise compare well to comparable ADSL2+ bundles. Through Internode, an Easy Reach Bundle with 100GB of data would cost $99.90, with speeds ranging from 1.5Mbps to 24Mbps, dependent on distance from the telephone exchange (with no service at all beyond 4.5km). The Easy FAB mid 250 plan offers more than twice the amount of data for $10 more, with a line speed of 30 Mbps, regardless of distance to the access point. As with ADSL, real-world speeds can be affected by the site you’re accessing and the status of your equipment, but line problems and distance issues are no longer a factor. An Easy Broadband 200GB Bundle is $79.90 a month, with speeds ranging from 1.5Mbps to 24Mbps, dependent on distance to the telephone exchange. An Easy FAB Mid 75 plan offers less data and is $10 more, but offers the greater likelihood of speed that fibre can offer. Internode will offer Easy FAB plans on a 1-month contract, with a $99 connection fee. On a 24 month contract, the $99 connection fee is waived. Internode do not provide free hardware; but they do have a wide range of hardware options, including modems, routers, handsets and combination units, starting from $125. They also offer hardware rental options from $9.95 a month.